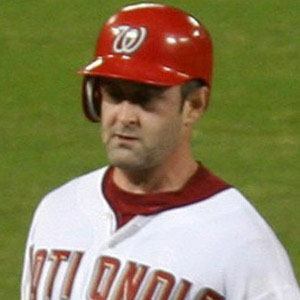 Former MLB catcher who played for the Nationals, Mets and Phillies in his 12-year career. He was twice named Conference Player of the Year at Northampton Area High School. He opened the Catching for Kids Foundation in 2008. He married Jordan Sproat on November 6, 2004; the couple had three children together: Calin, Tatum and Holden. He played his last two professional seasons as Carlos Ruiz's backup on the Philadelphia Phillies.